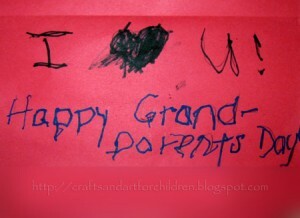 Have you made your Grandparent’s Day projects yet? 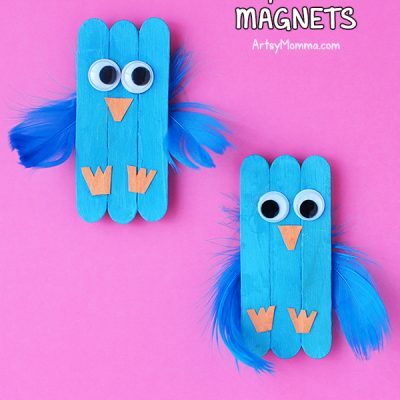 Here are the crafts that I made with my children. I took a picture of them and uploaded it to Picnik. Click on Effects and then scroll down until you see Pencil Sketch. Play around with it until you get a design that you like. 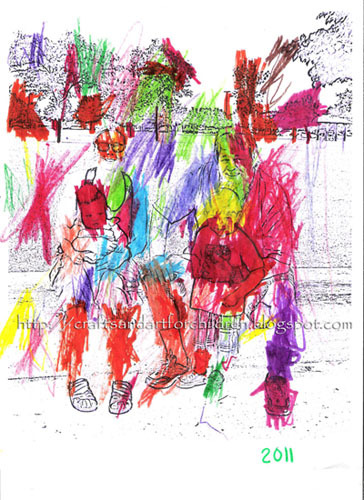 Now you have a photo turned into coloring page ready for your little one to color! 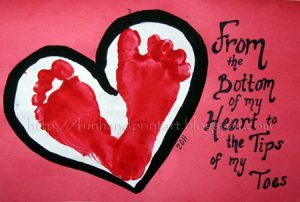 I made a Footprint Heart Card using my baby girl’s feet. It reads “From the Bottom of my Heart to the Tips of my Toes!” on the front. On the inside it reads “I Love You! Happy Grandparent’s Day!” I lightly wrote it in so my son could trace over it. For Christmas last year, my mom bought him this giant book (also available regular sized) called I Love You, Grandma (affiliate link) by Jillian Harker. 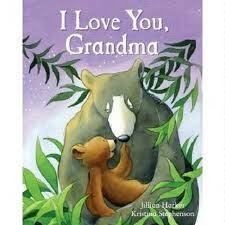 We read the book to go with our crafts and will will it again on Grandparent’s Day. It is an adorable book about a little bear who asks his Grandma all sorts of questions about why he has a big nose, long tongue, and sharp claws. Grandma, of course, knows all the answers and they set out on an adventure to show the little bear all the answers to his questions. 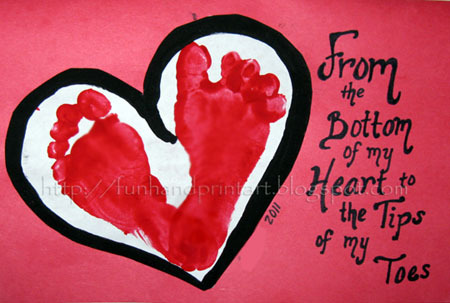 I love the footprint heart card…it is so cute! Oh goodness, I forgot to send a card. Thanks for the reminder. That footprint heart card is absolutely adorable!! What a great idea!! I love your idea of having your little one trace what you wrote. I am for sure going to do that next time! We made gold medal awards for grandparent’s this year that you can hang on the fridge. The abstract design looks easy to do. Even my kids can manage to make something like that. That’s a good idea then. I should let the kids do the artwork stuff to make them more special! My mom and dad will definitely remember and cherish that day. Such sweet gifts for grandparents! That’s a lovely idea to stamp the child’s footprint onto the card, it’s so important to save these little moments in time. To make sure you have all these memories safe to cherish forever, check out Keepy. 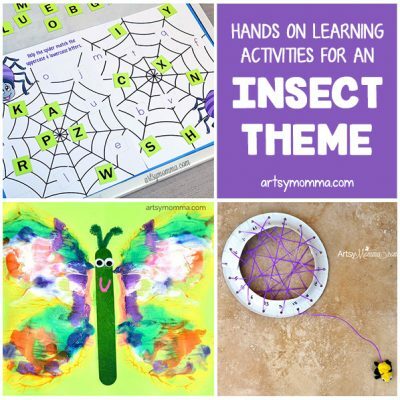 An easy to use app where you can organize and share your children’s artwork, photos, and videos with the whole family, including grandma and grandpa!